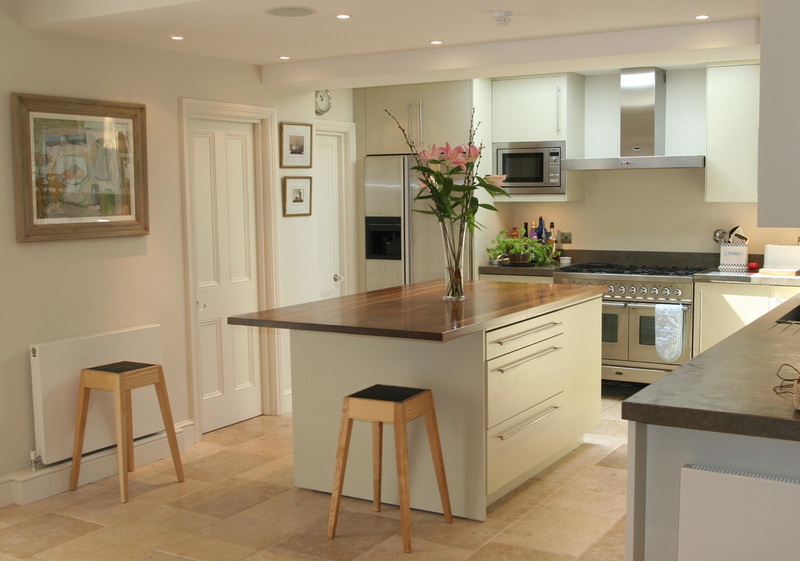 The design brings together traditional and modern characteristics. 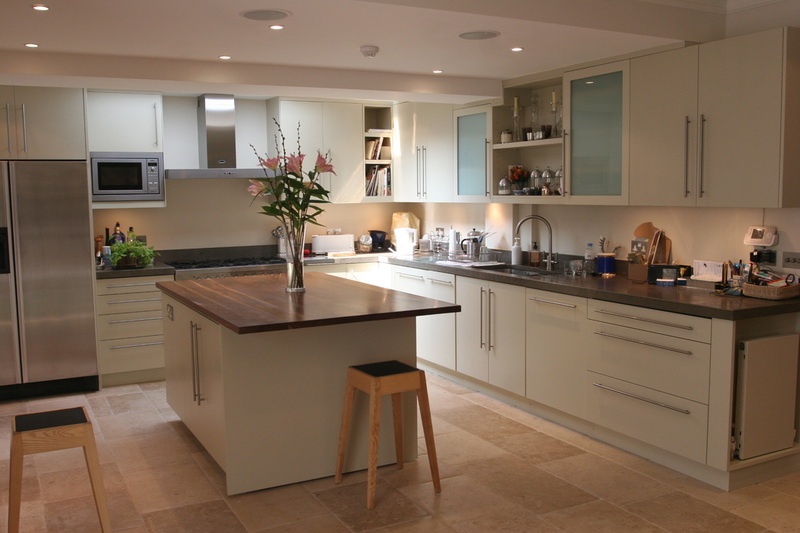 The shaker style cabinets combined with eye-catching worktops bring a light and spacious feel to the space. 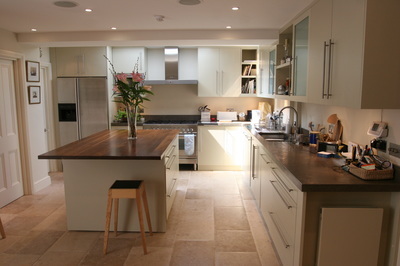 The L shape worktops allow for ample work surface for preparing family meals. The cupboards include a carousel, hidden bin and towel tray space perfect for storing kitchen essentials. 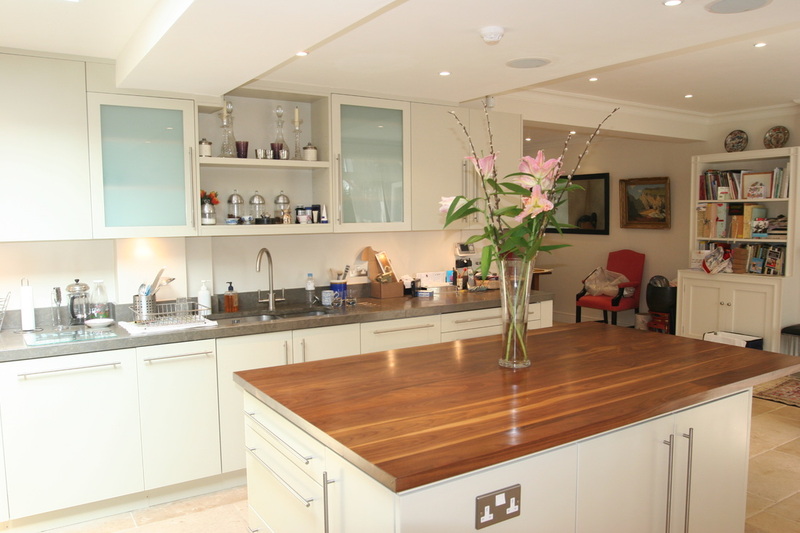 The large island with the walnut timber work surface provides a bar area to one side, which is perfect for entertaining. Solid Maple drawers with Blum soft close runners. Adjustable shelves and glazed top panels. 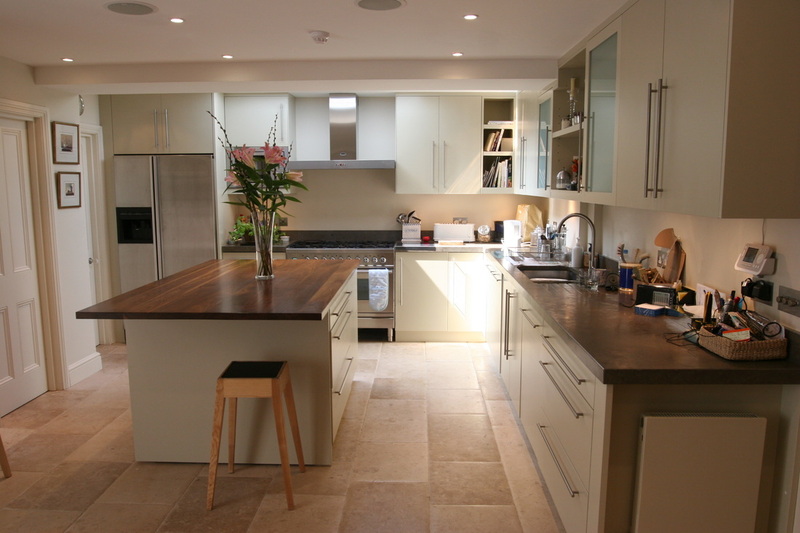 We supplied the Franke sink, tap and waste disposal.